Your BroteinBox will be delivered right to your door or office and you'll be stocked-up with healthy, protein-packed snacks to try throughout the month. Save money on your BroteinBox by signing up for our 3 or 6 month subscriptions. Typical boxes include: Protein Bars, Beef or Turkey Jerky, Protein Chips, and other unique and healthy snacks. Your Team or Office BroteinBox will be delivered right to your door or team HQ and you’ll be stocked up with healthy, protein-packed snacks for players and coaches. 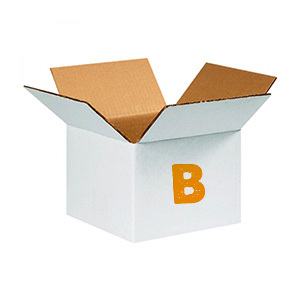 Save money on your Team box by signing up for our 3 or 6 month subscriptions. Each box will ship with 72+ high protein snacks to keep your team fueled up before and after games and practice. BroteinBox sends delicious, protein-packed snacks to your home or office, every month. We're always on the hunt for the best-tasting, healthiest food. We'll help you discover your new favorite snacks without stepping foot inside a grocery store. © 2018 BroteinBox , All Rights Reserved.